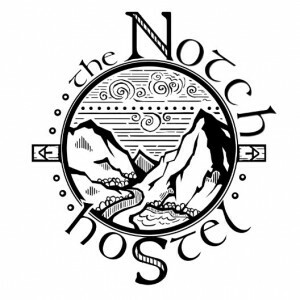 The story of the Notch Hostel logo begins, naturally, with a hike. 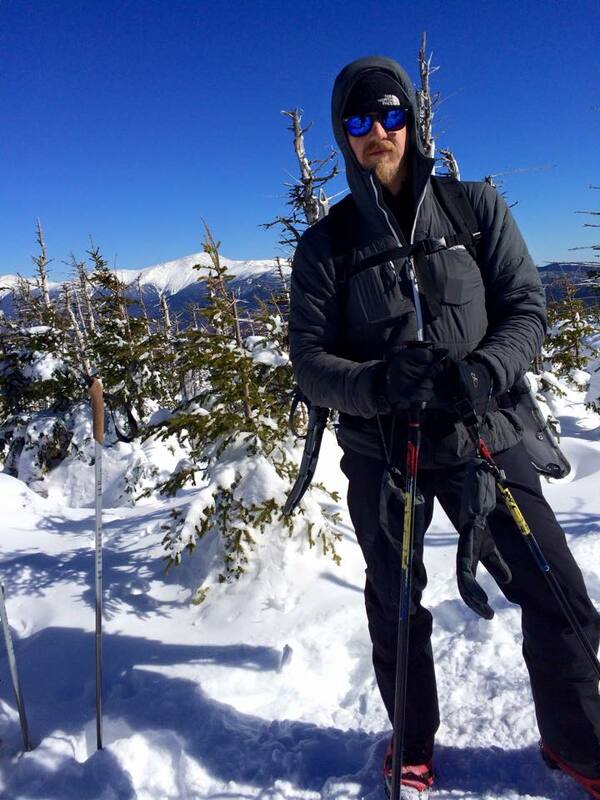 Last year, Justin and I embarked on a late fall backpacking trip over Mts. Waumbek and Cabot, the two northernmost of New Hampshire’s 4000-foot peaks. 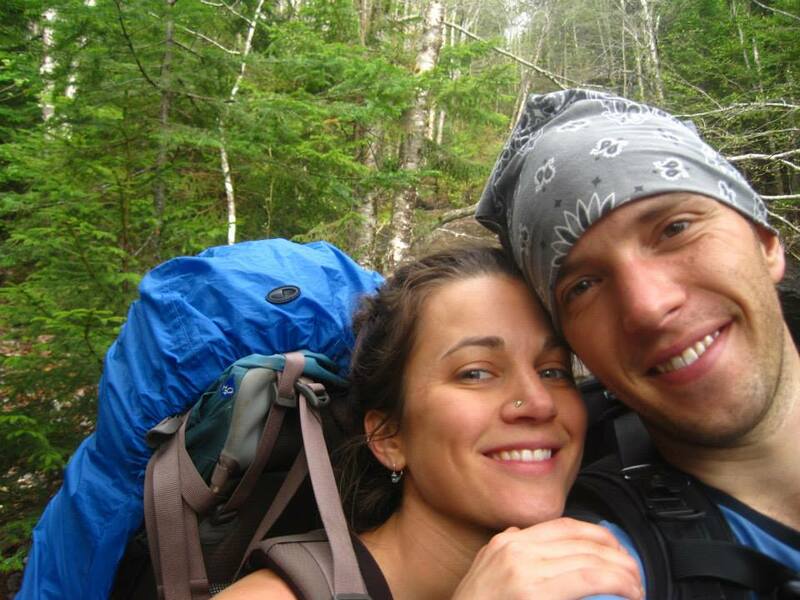 We had recently bought the property that is now the Notch Hostel, and decided to finally finish up our NH-48 (climbing all 48 of New Hampshire’s 4000-foot mountains) before things got busy with creating the hostel. We started at the Starr King Trail that morning, which took us over Mts. Starr King and Waumbek. We continued on the Kilkenny Ridge Trail encountering a beautiful bull moose along the way. Finally, we arrived at Cabot Cabin, just below Mt. Cabot’s summit. We expected to be alone, since Cabot is one of the less frequented mountains in the Whites, but to our surprise, we met 10 other people and two dogs, including none other than Brent Erwin and General Patton, Erick Gaudreau and Ringo, Josh McDermott, Dylan Schulze, Curtis Hartshorn, Shawn MacDonald, and Christophe Marchal (Brent is the creator of the popular hiking blog www.viewsoftheshire.com. His trip report and the comments from this memorable night are here). We didn’t know it then, but one of these guys would end up designing the Notch logo. After an epic night at the Cabin, we all headed our separate ways, confident our paths would cross again someday. Brent and Christophe ended up coming to stay at the Notch quite a bit over the ensuing winter months, which were some of the coldest on record. Brent and his dog Lucy were going after Lucy’s Winter NH48 in one season, and Christophe, a professional animation artist, was escaping work life whenever possible to find solace at the snowy peaks. We had been struggling with our logo design for months, and after we talked to Christophe about it, he immediately offered to design it for us. After only minimal discussions about what we were looking for, Christophe set to work. A few weeks later, he emailed us the logo you see on our website. No alterations or adjustments. It was exactly what we had in mind, and set the perfect tone for our hostel. The logo has several unique elements. The entire logo is actually a compass, with the N in Notch and the S in Hostel making up the North and South markers. The East and West arrows are Appalachian Trail (AT) symbols, cluing viewers in to our proximity to the trail. 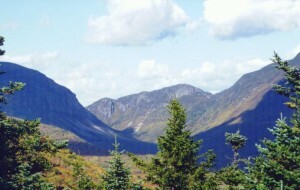 The iconic image of Franconia Notch fills the center of the logo; this famous view is just a few minutes north of the hostel along Rt. 93, and was the inspiration for the hostel’s name. The celtic-style lettering came naturally to Christophe, who had hiked the AT at age 15 and written his entire trail journal in Elvish. We are currently working on converting our logo into a circular, wooden street sign. Justin is building the signpost out of a black locust tree. Black locust trees are extremely hard, resistant to rot and durable without the need for pressure-treating chemicals. Stay tuned for a picture of the finished product — or come by this summer for a look at the real thing. Until then, happy trails!